Monte Carlo Weekly Photo: Formula One for kids! 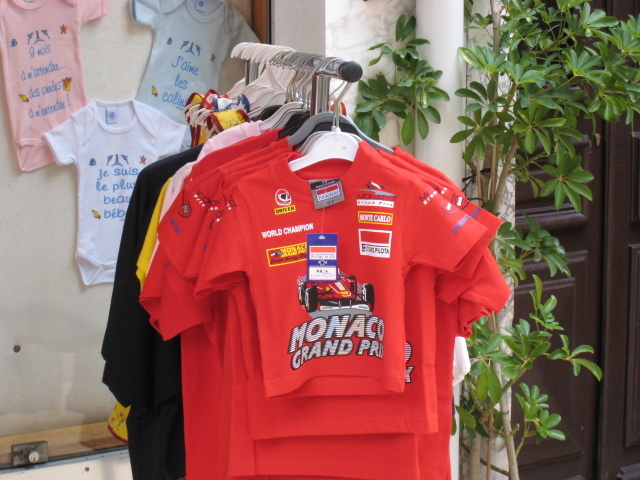 Grand Prix T-shirts are on sale all the year round in Monaco. These were on a rack outside a clothing shop for children in the pedestrian street of Monte Carlo, just up from the port. I believe quite a few Formula 1 drivers live in monaco too, don't they? I remember this street very well-I believe we spent some money!! I also remember the beautiful intimacy of these streets...and the colors!